Our programmes are aimed at women of all ages and religious denominations. We provide a range of educational opportunities which help build the women’s self-esteem and increase their chances of finding employment. Activities focus on camaraderie and support. For many women, the time they spend at the Centre is the highlight of their week. 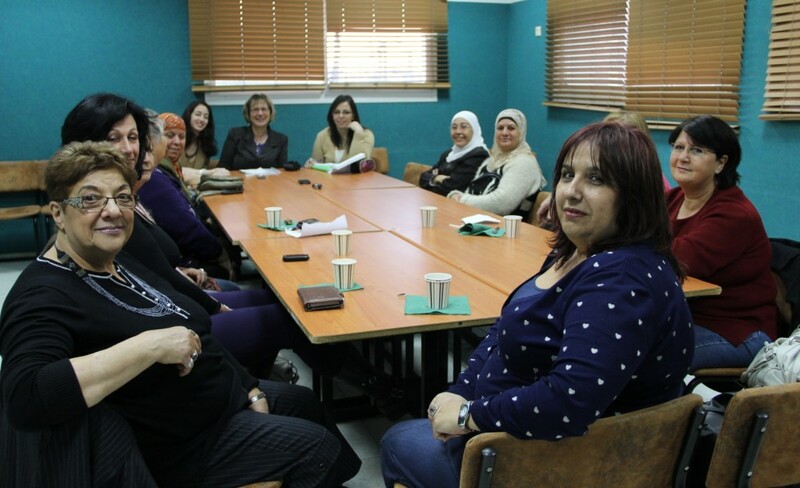 Hebrew course for Arab woman: In cooperation from Ministry of Employment, the Centre offers a comprehensive course in Hebrew for Arab women looking to improve their language skills in order to find employment. Training for National Service volunteers: In cooperation with the government, professionals teach young women the skills necessary to assist in a range of different public services, such as schools and hospitals. Women’s dance group – Twice a week, our center hosts a women’s dance group in our dance studio. They have enjoyed great success in national competitions over recent years.